Hunter's paradise! Thousands below recent appraisal. 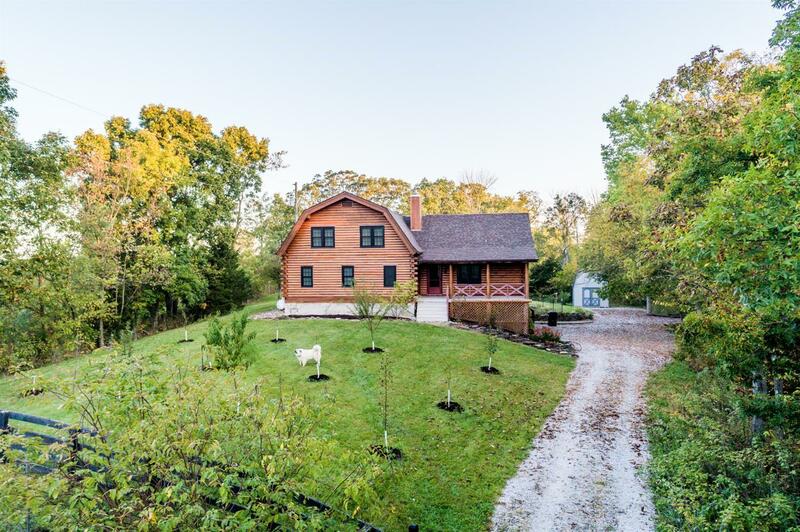 Prepare to fall in love with this lovely log home situated on 30 mostly wooded acres. This gated property has a huge great room w/gorgeous hardwood floors, cozy fireplace, dining room and eat-in kitchen. It also has a 1st floor master bedroom w/private bath, a half bath and a laundry room on the 1st floor. Upstairs, there is a loft area, plus 3 bedrooms and a full bath. There are several unique features for the green enthusiast: a chicken coop, an orchard, a kitchen garden, small canning room in the bsmt and multiple out buildings.There is an equipment barn w/an enclosed storage room that has previously been used as a hunter's cabin at the back of the property. 2nd driveway was added to the east of the existing driveway. Other improvements include a new heat pump and water softener (2015), replacement windows, all entry doors replaced (2013), new gutters (2014) and much more! Don't miss this country treasure convenient to I-75.